Dr. Akins is employed by St. Philip’s College as the Title III Director Title III Programs since January 2010, prior to becoming Title III Director, Dr. Akins served as the Dean of Workforce Development and Continuing Education. He has served as Director of the Grants and Contracts Department before joining St. Philip’s College in 2009. He has taught grant-writing courses at St. Philip’s College for the Continuing Education Department. He is also a Lecturer with the University of Texas at Austin teaching urban related courses in the Geography and the Environment Department to undergraduate students majoring in Urban Studies. Dr. Akins has serves as a Lecturer for the University of Texas at San Antonio in the Public Administration Program teaching graduate courses to students majoring in public administration. Dr. Akins has over 30 years of combined experience in contracts, grants and program management working for local government, non-profit organizations, and institutions of higher learning. Dr. Akins has life memberships in Alpha Phi Alpha Fraternity, Inc. and the Texas Association of Black Personnel in Higher Education. He is a sustaining member of Phi Mu Alpha Professional Music Fraternity. He earned his Ph.D. in Human Services from Capella University, his M.A. in Urban Studies from Trinity University and his Bachelor in Music Education from Southern University. Erick is a native of Chicago, Illinois and has resided in San Antonio, Texas for the past 32 years. Mrs. Luanne M. Baker serves as the Director of Government and Foundations Relations at Stillman College located in Tuscaloosa, Alabama, a position she has held since 2008. 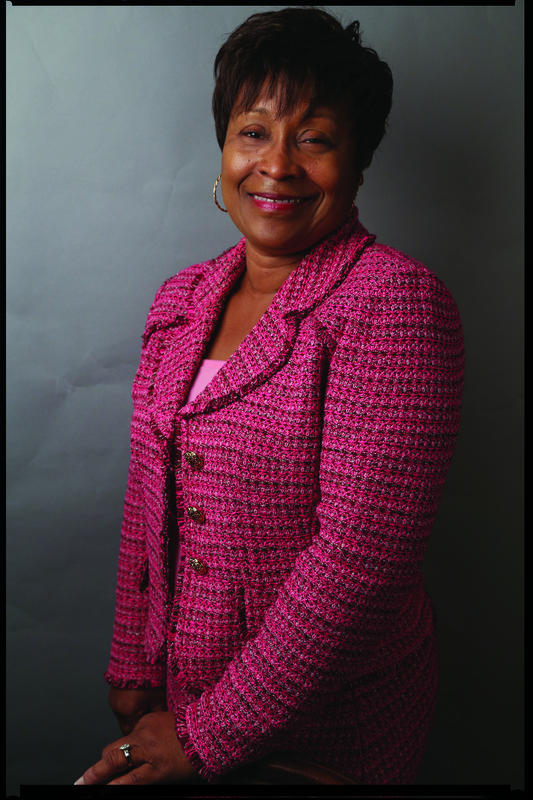 Ms. Baker served as the of Director of Development at Stillman from 2006-2008. 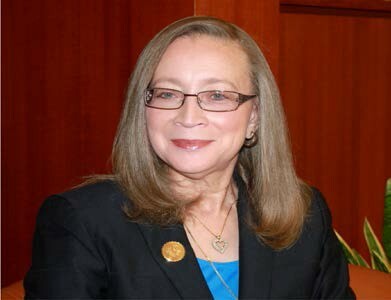 Prior to 2006, Ms. Baker was the Director of the Disadvantaged Business Enterprises (DBE) Supportive Services Program at Stillman from 1992-2006. Her current position encompasses serving as the Title III Administrator as well as being directly responsible for coordinating all faculty and staff grant proposal submissions to federal agencies and corporate, community and private foundations. In addition to serving the NAHBCUT3AA, Inc. as a Member-At-Large, she is also a member of the Assessment Committee. Ms. Baker is a member of the Chamber of Commerce of West Alabama, the Birmingham Regional Chamber of Commerce, Tuscaloosa Morning Rotary Club, a 1996 graduate of Leadership Tuscaloosa, and a Diamond Life Member of Delta Sigma Theta Sorority, Inc. Ms. Baker is a 1985 graduate of the University of Alabama and holds certification from The Center on Philanthropy at Indiana University. She and her husband, Fred, reside in Tuscaloosa, Alabama. Mr. Ronald E. Range is the Dean of the C.A. Fredd Campus of Shelton State Community College, in Tuscaloosa, Alabama, where he also is the Director of Title III. He serves on the Executive Committee of the National Association of HBCU Title III Administrators as Financial Secretary. In his role as Campus Dean, he works in cooperation with the President, the Dean of Instruction, the Dean of Students, the Dean of Business Services, other associate deans, division chairpersons, and the faculty to provide leadership and supervision in the planning, development, implementation, and evaluation of the C.A. Fredd Campus’ instructional units both credit and non-credit. Ronald is a native of Tuscaloosa, Alabama. He earned his bachelor’s degree in business administration from Stillman College and master’s degree in public administration from the University of Alabama at Birmingham. Mr. 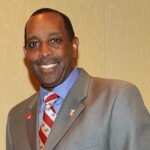 Range serves on a various boards of directors and is a member of Kappa Alpha Psi Fraternity, of which he serves as a member of the Grand Board of Directors. Dr. Margaret Martin-Hall has worked with the Title III grant program and fundraising initiatives at the University of Arkansas at Pine Bluff since the mid-1980s. She a proven track record in energizing fundraising activities through building appropriate infrastructure, cultivating the constituency base, and energizing fundraising activities through innovative strategies. During her tenure as a Development Officer she has moved annual giving from less than $700,000 to nearly $2,000,000, and she has increase the number of donors from 800 to over 3,600. Through her efforts the endowment has grown from approximately $6,000,000 to nearly $16,000,000. Dr. Martin-Hall’s undergraduate studies were at Baldwin Wallace (Berea, Ohio) and Philander Smith College (Little Rock, AR). Her graduate studies were at the University of Nebraska at Omaha, the University of Arkansas at Pine Bluff and the University of Arkansas at Little Rock. Her experience includes grant/proposal writing with economic development and community development corporations, grass-roots organizations, and institutions of higher education. She has extensive experience in the areas of both public (federal grants) and private fundraising. Dr. Martin-Hall has received professional training and certification in Grants Management and Development, from Management Concepts, Inc.; Planned Giving from the National Planned Giving Institute at the College of Williams & Mary; Fundamentals of Fundraising from the Fundraising School at the Center on Philanthropy (Indiana University); Techniques in the Design, Development, and Implementation of Telephone Solicitations Programs from IDC; and various fundraising related seminars, workshops, and conferences offered by the Thurgood Marshall Foundation, Kresge Foundation, Council for the Advancement and Support of Education (CASE), and other agencies/organization. 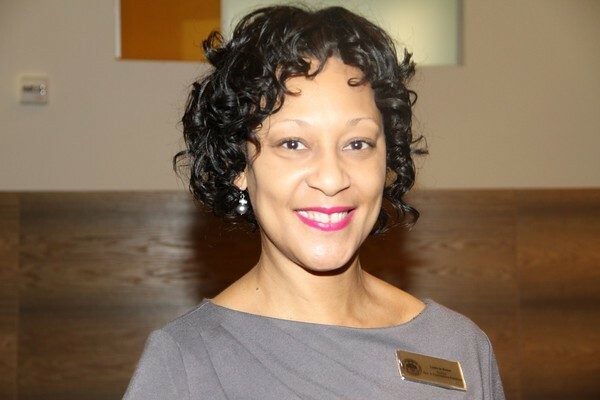 Additionally, Dr. Martin-Hall is an active member of CASE, Association of Fundraising Professionals (AFP), and the Arkansas Chapter of the Association of Fundraising Professionals where she was president elect. Dr. Martin-Hall is Director or University Relations, Development, and Title III at the University of Arkansas at Pine Bluff (UAPB). 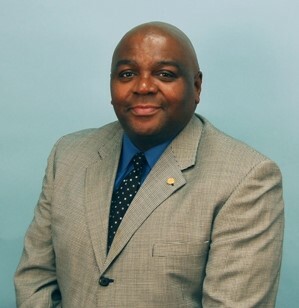 Mr. Samuel Melton, Jr. is the Director of Sponsored Programs and Title III at Mississippi Valley State University. He is responsible for all pre- and post-award matters related to grants and contracts as well as the management of the Title III program. Samuel has over ten years of experience with providing grants administration services in higher education. Shortly after graduating in 2005, Samuel began working in an entry-level position in the Office of Sponsored Programs/Title III at Mississippi Valley State University and was later promoted to the Program Reporting Specialist position in 2007. He served in that capacity from 2007-2012 with the responsibility for overseeing all post-award matters. Samuel became the Interim Director of Sponsored Programs and Title III in 2012 and was later promoted to Director in 2013. A native of Clarksdale, MS, Samuel earned a B.A. and an M.S. degree in Business Administration, both from Mississippi Valley State University. He has been a member of the National Association of HBCU Administrators since 2007 and now serves as a Member-at-Large. Samuel T. Rhoades, III, a native of Dunn, North Carolina was unanimously elected to a second term as President of the National Association of HBCU Title III Administrators, Inc. He currently serves as Special Assistant to the President/Title III Administrator at Virginia Union University. Dr. Rhoades has over thirty-five years of experience in higher education in Administration, Cooperative Education and Placement, Sponsored Programs and Research, and Title III Programs.Dr. Rhoades is a 1967 alumnus of North Carolina College at Durham for Negroes, now North Carolina Central University and received his Juris Doctorate from North Carolina Central University in 1973. Also, he is an Honorably Discharge Military Veteran and holds Life Memberships in The North Carolina Central University Alumni Association, The National Association for the Advancement of Colored People, and The Omega Psi Phi Fraternity, Inc. After successfully completing consecutive terms as the Association’s president, he was unanimously voted by his peers President Emeritus in September, 2007. He is a member of Phi Alpha Delta Law Fraternity, International and The Beauty of Dunn Lodge Free and Accepted Masons. Ms. Helga Greenfield; serves as Chief of Staff to the President and Associate Vice President for Title III and Government Relations at Spelman College. She has been providing service in higher education for more than 40 years and she believes that communication is the foundation of all relationships. She has had the privilege of serving five institutions of higher learning in various capacities such as: Director of Financial Aid; Associate Director of Financial Aid, Admissions and Recruitment; Associate Registrar; Vice President for Institutional Advancement and Director of Title III; Associate Vice President for Advancement and College Relations; Associate Vice President for Enrollment Management and Associate Vice President for Advancement Operations. A native of Seven Springs, NC, Helga holds a B. A. degree in Business Administration from Shaw University and a M. S. degree in Business with an emphasis in Management from Norfolk State University.